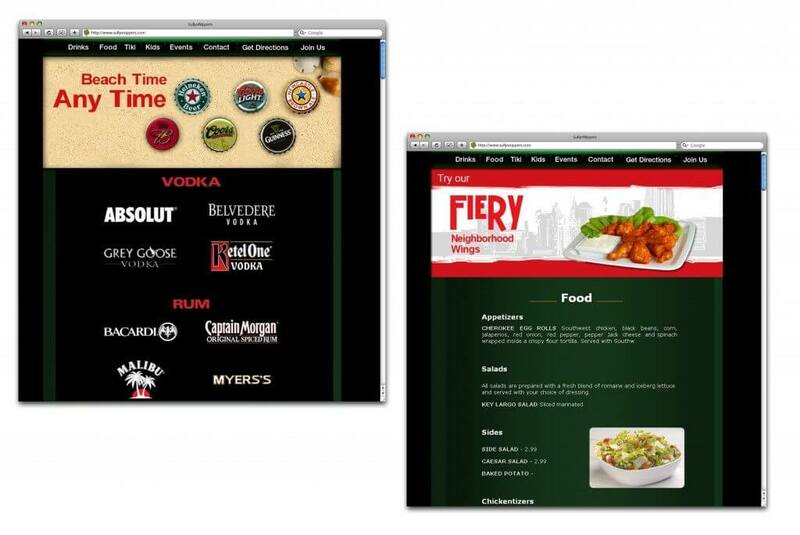 Sully’s is a dominating food and spirits location that wanted to capture the essence of the location and take it online as a pure experience. Tons of research was done to understand what it was that made this place standout as a home away from home for some regulars and newcomers alike. We focused on the things like the lighting, colors, paintings, posters, employee outfits, team spirit, special events, and of course the food. They also bring. 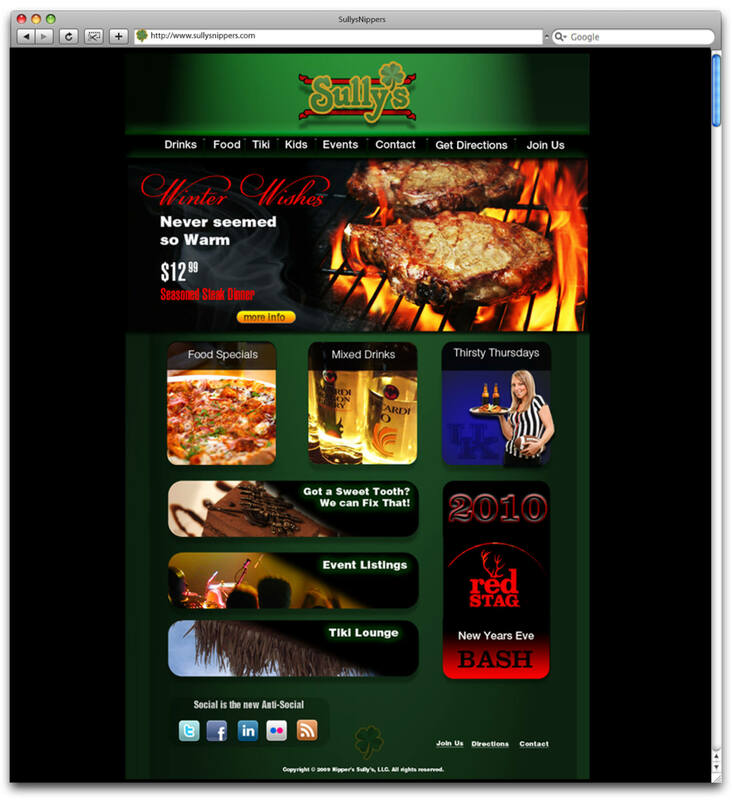 Sully’s has an atmosphere that seems to resonate through the walls of the establishment ultimately overwhelming the design aspect pressing element to be enlightened at its peak. Brand positioning was the first factor that had to be perfect to ensure that all of our other ideas that developed could appropriately pay their part while continuing to be relevant. We examined their competition only to find that there wasn’t much to consider in their surrounding area so this definitely gave them the competitive edge in positioning and quality. Although though there were other restaurants in the area with the aliveness of music talent and social performances Sullys provided the only atmosphere that was easily identifiable as a golden arch. Due to the unique style of the venue we incorporated an anything goes approach in order to keep up with the ever changing format of the food industry instead of playing by any set of specific guide lines. The header especially had to have an entertaining and focused sort of appearance almost like a star in the spotlight approach. This gave room to create a harmonious glow for the rest of the pictorial elements which a few shots of our own were used when a specific perspective was mandatory. There were no restrictions on color rhythms for the photography so going for the highlight sports bar touch seemed right. In each page we wanted to simply surprise and delight the user experience so that every page had its own personality. This was no easy task as countless concepts were drafted, removed, redrafted, rejected then reconsidered until everything began to develop a language of it’s own.